Sebring & Associates is authorized as a Secure Insight Registered Agent. See the Standards and Best Practices of Secure Insight. Real Our beloved city of Pittsburgh and the surrounding area has long been known as the “City of Champions” and our law firm of Sebring & Associates in the Pittsburgh suburb of Monroeville is proud to provide legal services for many businesses, realtors, developers and homeowners. 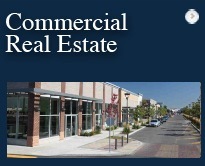 We specialize in commercial and residential real estate and our attorneys represent land and housing developers, construction companies, builders, landlords and homeowners’ associations in a wide range of real estate and construction law matters. We also represent individual homeowners in all types of real estate litigation. Sebring & Associates also operates as a full service title insurance agency and real estate closing company. We are an approved closing agent for most lenders, banks and mortgage brokers and we are proud to be a member in good standing of the American Land Title Association, adhering to the ALTA Best Practices Framework for title insurance and settlement companies. 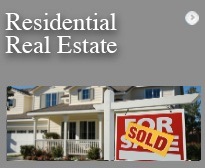 We assist in all phases of real estate transactions to help ensure the buyer receives clean title. We are located in Monroeville, which is convenient to the Parkway as well as the Pennsylvania Turnpike, with easy access to our ground-floor office, free parking and without the hassle of Pittsburgh traffic and parking issues. 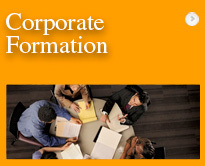 Plus, in person, via phone or email, you’ll have direct access to our attorneys. For most, real estate is the largest single investment you will have in your lifetime. Our attorneys deliver the experience, expertise and attention to detail required in any real estate transaction. Whether you are purchasing a new home, buying a large tract for development or are needing to determine your rights and obligations as a tenant or landlord, members of our firm are eager to help you reach your desired goal. Contact us with your legal question or meet our attorneys.